This post has been improved. Click here for a more in depth version. The following strange video busts President Obama for lying about Americans keeping their health plan if they like it. This video isn’t just on any website. It’s on www.WhiteHouse.gov! 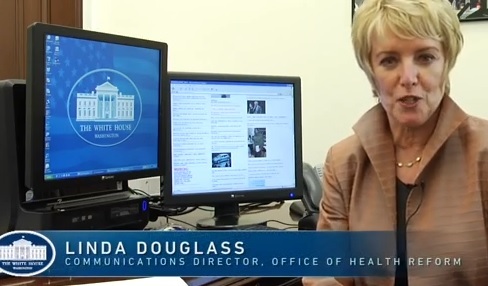 It is presented by Linda Douglass, the Communications Director for the White House Office of Health Reform. Oh, but we will show it to you. See minutes 1:03 to 2:11 in the video below. This entry was posted in 2013, Peter L. Hodges Sr. and tagged barack obama, Catholic, healthcare law, Lay Catholic, ObamaCare, politics, White House. Bookmark the permalink.